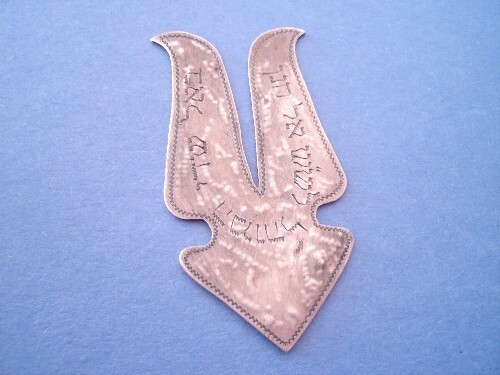 This is the first circumcision shield I bought. 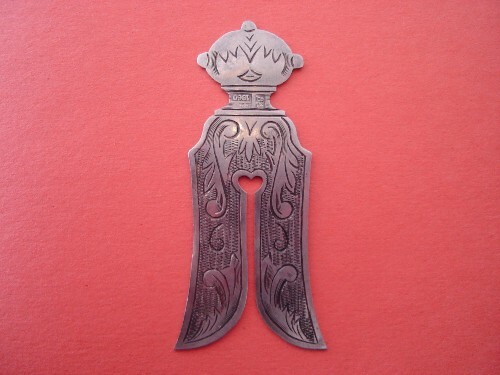 Listed as a Russian silver circumcision shield, it arrived from a seller in Poland. The shield is stamped "84" and "1860." Beware: I have seen several of these shields on eBay recently; therefore, I believe this is a counterfeit. Keep exploring CircCentral to learn how to spot fakes. 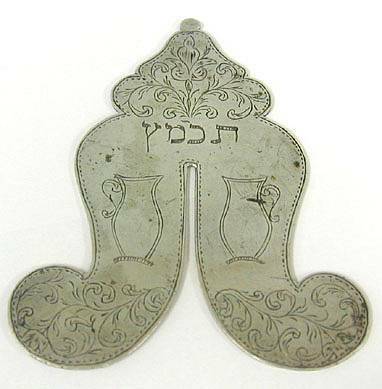 Also, see the page devoted to counterfeit Judaica. 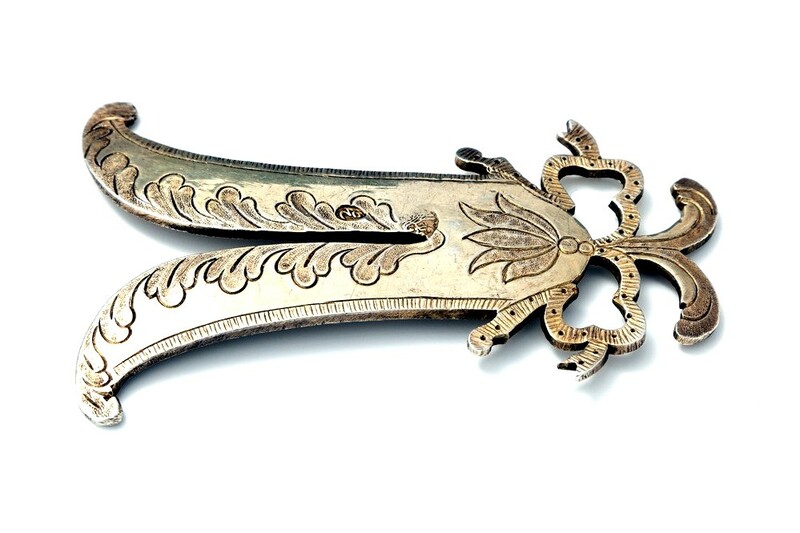 To the left is a silver circumcision shield dated 1790. Its origin is either the Middle East or North Africa. shield from Turkey, c. 1880. Some gilding is present. 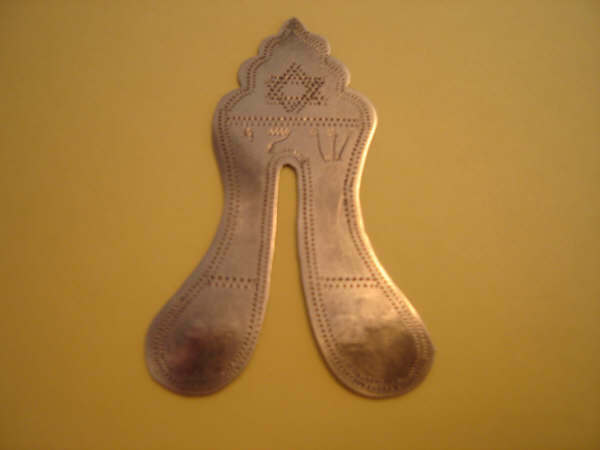 This is a Moroccan shield purchased from an Israeli vendor. The age was listed as 50 to 70 years. 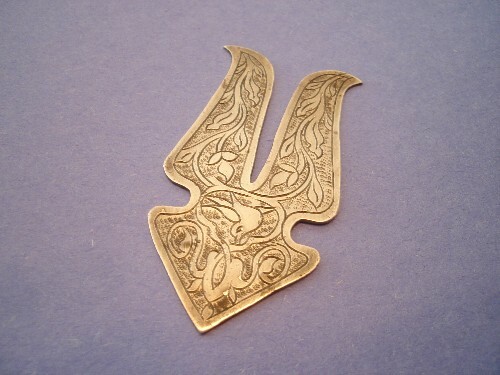 Here is another Moroccan shield, 2 3/4 inches by 1 1/2 inches. 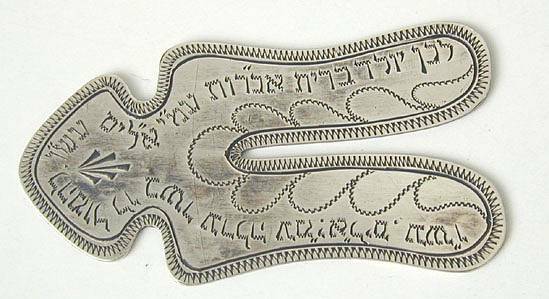 To the left is a 1920s silver circumcision shield by Bezalel. 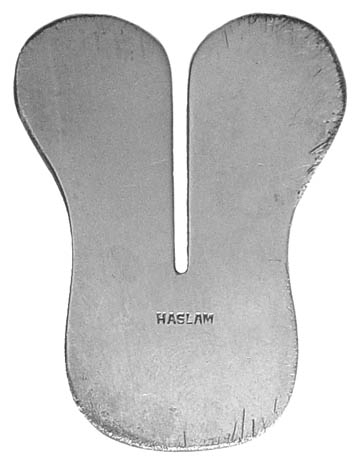 It measures 6.5 cm in length, a bit longer than other clamps. The Bezalel School is the premier art academy in Israel, known for its art nouveau-influenced designs. 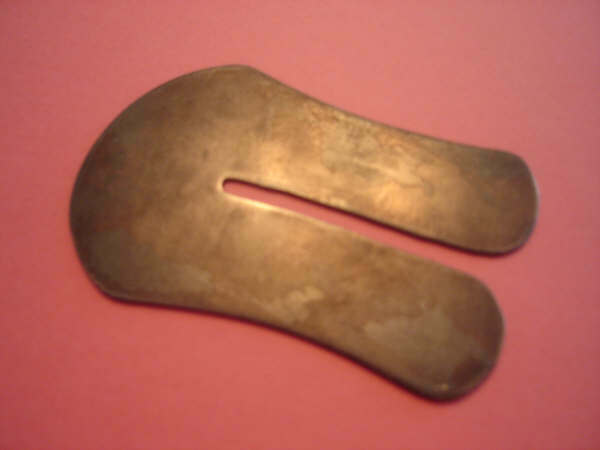 Below is a simple circumcision shield. It is unmarked. 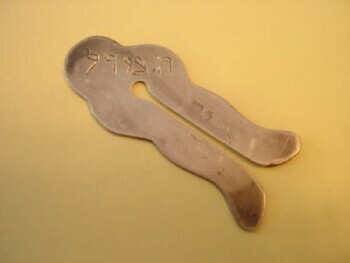 The eBay vendor is from Israel. 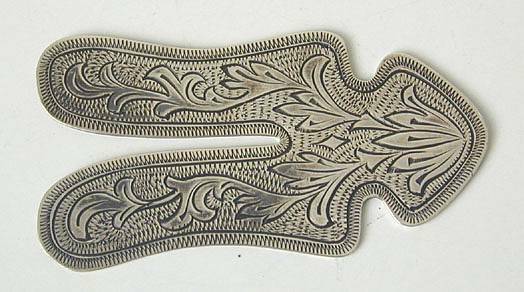 Here is a beautiful silver shield, Polish, 1900s. To the left is a circumcision shield from Fred Haslam & Co., Brooklyn, New York, c. 1900. The catalog price was 90 cents. The shield below is an obvious and poorly-made counterfeit. 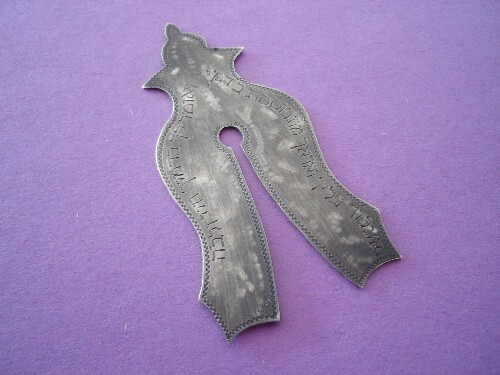 It is too small and flimsy to be of practical use, measuring 3x5 cm. 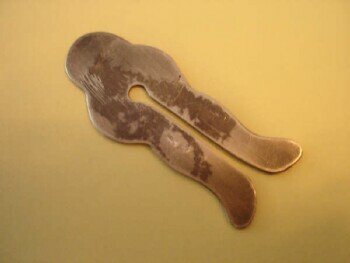 The metal, presumably silver, is malleable. 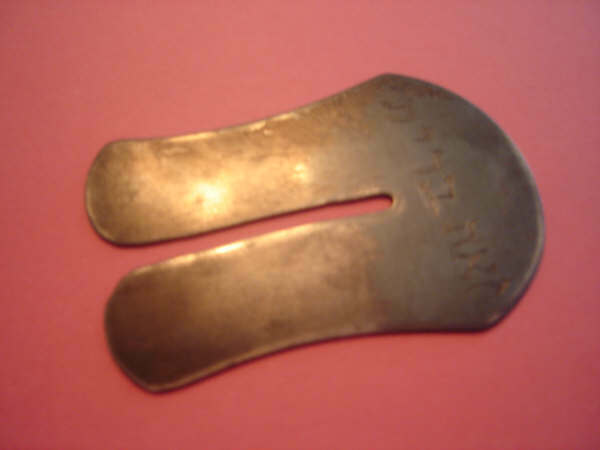 There are multiple small imprints, including "1894" and "84." I purchased this item because it was inexpensive and illustrates the fakes available on eBay. When the seller from Germany first shipped the shield to me, the package was lost. His reply was, "Don't worry, I have two of them!" He sent me another one of these "rare" items. I have followed his auctions: he has dozens of these counterfeit shields. 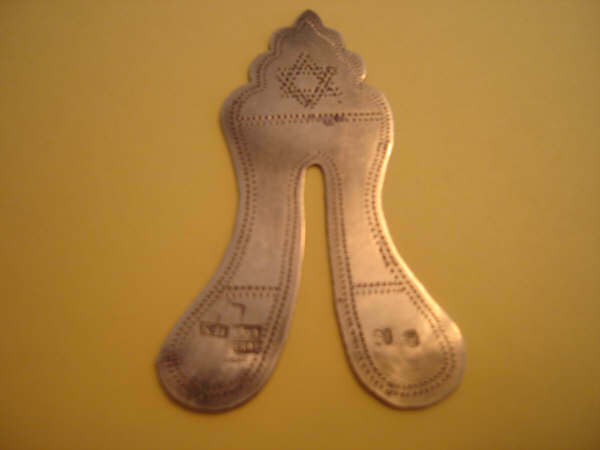 Keep reading--there is a CircCentral page devoted to counterfeit Judaica. I suspect another fake on the right. 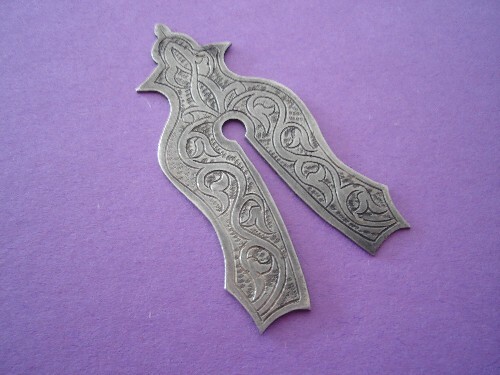 This was sold on eBay as a silver shield from Poland. It is stamped "1870." 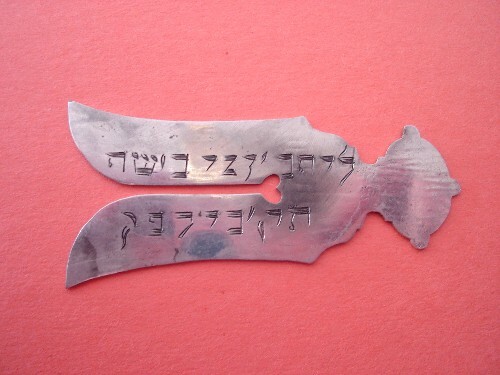 I believe it is fake because this Italian vendor sells quite a bit of other counterfeit Judaica. 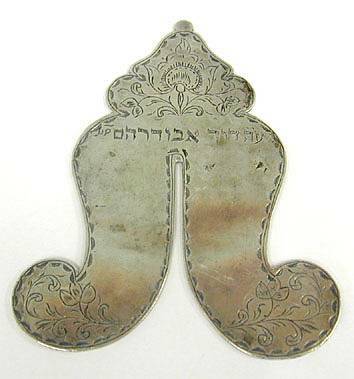 She frequently offers counterfeit yads (Torah pointers), besamim (spice) boxes and marriage rings. 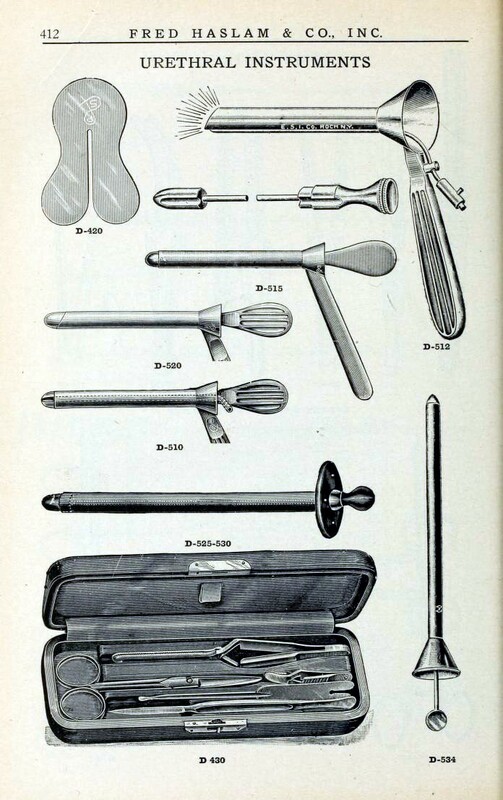 On the next page are circumcision sets: knives and shields together. Just click the button below.